A few weeks ago I shared some of my memories of playing math games with my dad and how these experiences were influencing my work and research interests (If you missed it, you can see it here: http://u.osu.edu/ecemathed/2018/03/01/where-did-i-come-from-and-where-am-i-going/). This post is really part 2 of my story. If there’s one thing that I love as much as mathematics, it’s reading good literature. I haven’t had much time lately, but when I do get quiet time to myself, it’s usually spent reading. As with my passion for math, this passion can be directly linked back to one person: my mom. My mom is amazing. She spent many years as a preschool educator. I most hope to emulate the ways she always brought wonder and curiosity in the lessons she taught. She also read to my sister and I all the time. We would go on “adventures” to the local public library and just browse through stacks of picture books admiring the illustrations and soaking in the stories. As I grew older she introduced me to strong, imaginative female characters in literature. 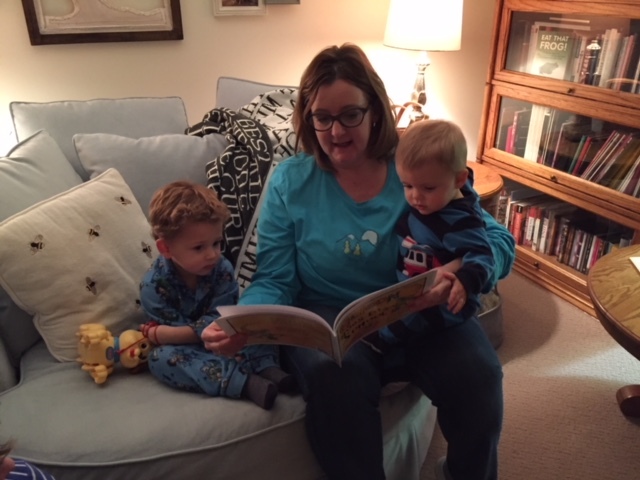 Now, one of her favorite things about being a grandmother is reading to her grandsons. My mom reading to her grandsons. I believe that the time spent reading with my mom profoundly impacts how I think about education now. Just as the times spent playing games helped me see math as something fun and playful, reading with my mom help me to see education as an act of love. One of the greatest gifts we can give our students is our undivided attention as we explore ideas with them. So, how is this influencing my current work? 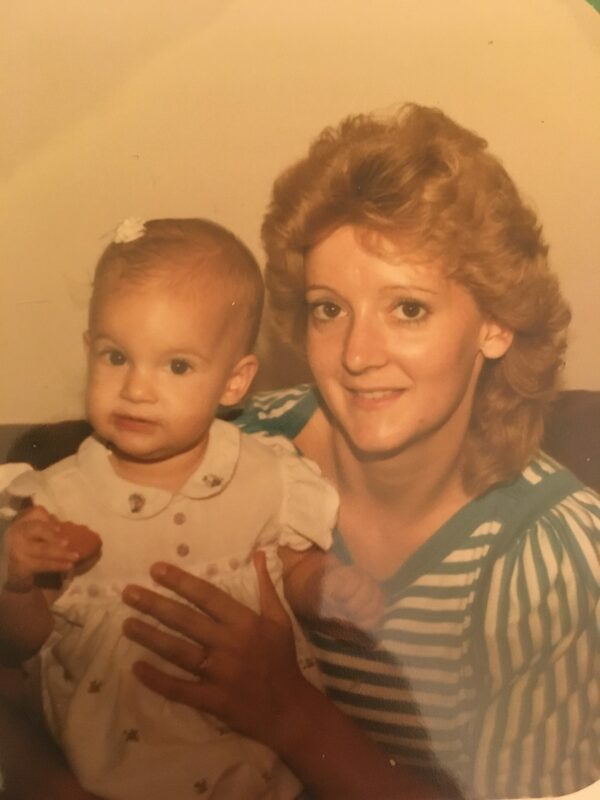 I shared at the end of part 1 of “Where did I come from and where am I going?” that I’ve been thinking about about how technology can help parents connect with their child’s mathematical thinking. I experience I imagine is much like the memories I have reading with my mom: time where parents and children can enjoy each other’s company–and talk about math. I’ve also been thinking about how literature can be a part of that. Today I got to spend a little bit of time in a Pre-K class and see how math and literature can be connected. My son, who is in a Pre-K class, informed me that other parents had been coming to his class as “guest readers”. He also told me he asked his teacher if I could come tomorrow (before he asked me…) and she had said that would be ok. Since he was so excited about this, I couldn’t turn him down. 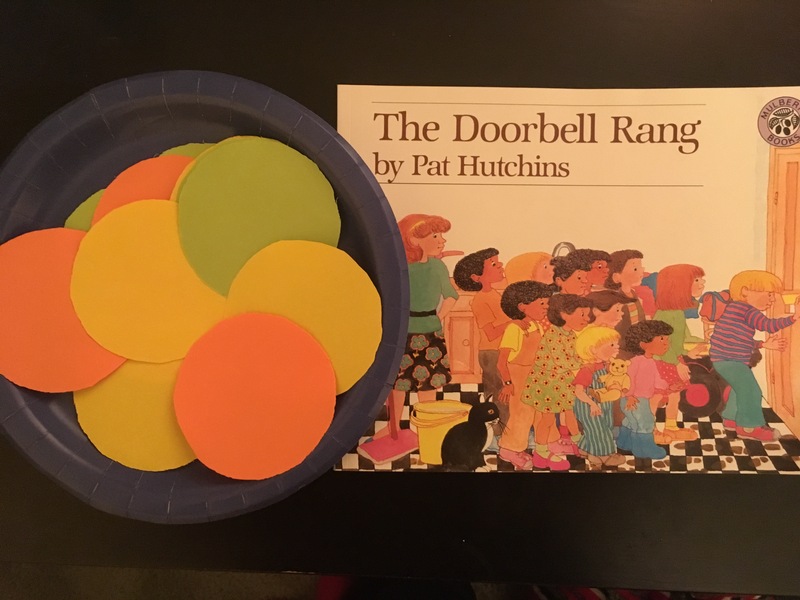 So this morning I grabbed one of my current favorite children’s books that also talks about math: The Doorbell Rang by Pat Hutchins and quickly created a few props I wanted to use when reading the story. If you’ve never had a chance to read this fun story, it’s about a mom giving her two children a plate of cookies and telling them they can share them. Before they get a chance to eat any of the cookies, the doorbell rings and two of their friends arrive. They redistribute the cookies…and yet again, before they eat their cookies more people show up. At the end of the story there are 12 friends, sharing 12 cookies. My son’s teacher gathered the students on the rug where they have circle time each day. At this time of the morning, there were 13 students. I asked the students if they would help me act out a story–they enthusiastically agreed. I showed them the cover of the book and read them the title. I explained that we were going to need some sound effects, so as a group we perfected a “ding dong” sound that we would use each time we heard that the doorbell had rang. Then I showed them the plate of paper cookies I had brought with me and as I held them up one by one, they helped me count to 12. They had been talking about the term “dozen” earlier in the week as they colored eggs for an Easter party they’re having tomorrow, so we talked about how 12 cookies could also be called 1 dozen cookies. Finally, we started reading the story. 2 children came up to be the first two children in the story and we took some time for them to share the 12 cookies among themselves. We counted that they each had 6. We kept reading and saying “ding dong” each time the doorbell rang. Each time new friends joined the story, more children stood up and the children began sharing the cookies without any prompting. At the end, every child was part of the story–we had 12 characters of the story and 1 “helper” (my son who had already read the story). We concluded that with 12 friends and 12 cookies, each friend got 1 cookie. The children had a good time and I loved spending the time with them. They practiced their counting and equipartioning. We enjoyed a story and mathematics. I will remember the fun they had and the thinking they did as I continue on in my work. What are your favorite stories that include math topics? Emily, I love teaching as much as it appears you do. I hope you share your talents and passions as much as you are able with as many as possible. You could rock the world in a classroom! I work in adult education (adult numeracy and high school equivalency). We started a Google Sheet to gather children’s books that with topics in math and science, to encourage our students to read to their kids and develop their own content knowledge.